Former Benue State Governor, Gabriel Suswam was arraigned today before the Federal High Court, Abuja on a three-count charge of money laundering and illegal possession of firearms. Suswam pleaded not guilty to the charge when it was read to him on today before Justice Babatunde Quadri. The latest charge brings to three the number of criminal charges now pending against Suswam before the Federal High Court, Abuja. The ex-Governor is accused of diverting proceeds of the sale of Benue State’s investment in some companies. The case is pending before Justice Ahmed Mohammed. He is, in the second charge, accused of diverting funds meant for SURE P projects in the state. The case was pending before Justice Gabriel Kolawole before the judge’s recent elevation to the Court of Appeal. The case is expected to be reassigned to a new judge. After his arraignment on Friday, prosecution lawyer, Abubakar Kayode Alilu sought a date for the commencement of trial. He urged the court order that the defendant be remanded in prison. Suswam’s lawyer, Paul Erokoro (SAN) informed the court about his client’s pending bail application. Erokoro moved the application, which Justice Quadri granted. 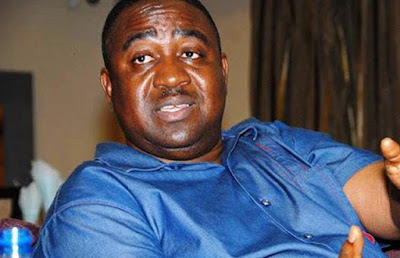 The judge admitted Suswam to bail at N500 million and one surety at the same amount. The Judge said the surety, who must be a residence of the Federal Capital Territory (FCT), should swear to an affidavit of means, following which the surety’s residential address is to be verified by officials of the court. The judge adjourned to October 24 this year for the commencement of trial.